Phones used to have two parts to them, a base and a receiver. In order to end a call, the receiver had to be placed or “hung” on the base. 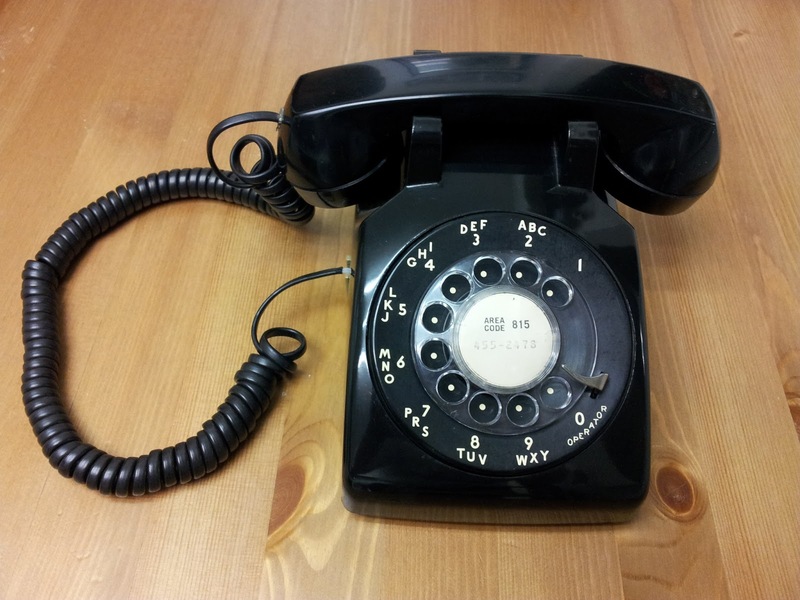 To call someone on an old phone, you had to stick your finger in a rotating dial at number positions that would turn the dial for various lengths of time when released. You had to do the entire number every time. I have an old rotary phone in a bookcase in my family room. A PHONE OR ALARM CLOCK “RING”? Now phones and alarm clocks can make any kind of sound to catch your attention, but a long time ago, phones and alarm clocks had little bells inside them for this purpose. CASHIERS “RING UP” A PURCHASE? Cash registers also used to have little bells in them. 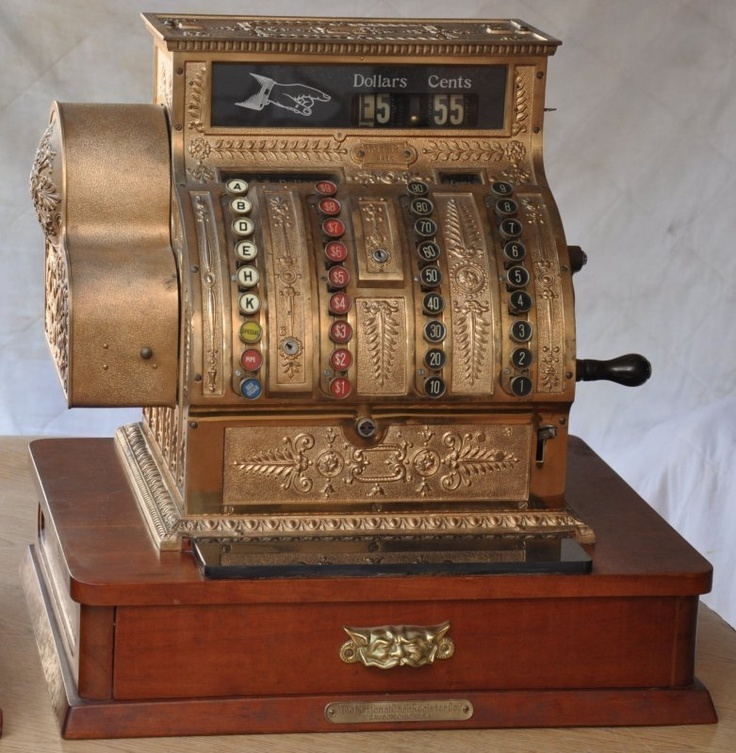 Cashiers would enter the price of each item on a set of mechanical levers, when they pressed the button to get the total, the total price would pop up in a window and the bell would ring. “ROLL” A WINDOW UP OR DOWN? Cars used to have hand cranks in the doors that moved the windows up or down when turned. To open or close a window, you had to roll the crank around a few times. 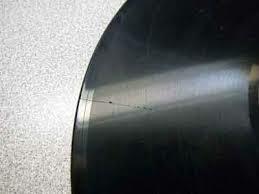 Music used to be played on grooved discs, called records. When these discs were scratched or otherwise damaged, it would cause the same sound to be played over and over again. So to sound like a broken record was to repeat the same thing over and over. People used to travel with big, heavy bags that had no wheels or collapsible handles. They had to “lug” these bags around from place to place. “TURN” A DEVICE ON OR OFF? Many devices used to require the user to turn a handle or knob in order to release the flow of an energy producing substance like gas, steam, or electricity. To stop the flow the knob would be turned back the other way and the device would cease operating. WHAT IS A MESSAGE “BOARD”? Before the internet, when people wanted to make an announcement or share information they would put it on a piece of paper and attach it to a board mounted in a public location where many people would see it. WHY WE CALL SOME SHOWS “REALITY” TV? Even though these shows do not actually show reality, at the time they first appeared, they were, in comparison, much less scripted and controlled than other shows, so they seemed somehow closer to the world as the way it was. Clocks used to be a circular array of numbers, with pointers mounted on a controller in the center that moved around the circle over the course of the day. The direction that the pointers moved, beginning towards the right at the top of the circle, was referred to as clockwise. WHY WE SAY “ON LINE” FOR COMPUTER THINGS? WHY WE SAY “REWIND” FOR A DO-OVER? Video and audio used to be on strips of tape that moved across a reader in order to be played. A gear on one side would wind the tape, pulling across it the reader from a wheel on the other side. When you wanted to re-play a section you had just heard or seen, or go back to the beginning, you had to re-wind the tape in the other direction. WHAT “CC” MEANS ON AN EMAIL? When you cc someone, you send them a copy of your message. It comes from carbon copy, an old method of creating copies of paper documents by transferring lines via carbon paper. This entry was posted in Educational, Interesting and tagged Interesting, Nostalgia. Bookmark the permalink.